About 90% of all cases of thyroid problems in dogs are in the form of hypothyroidism. Although some breeds are more susceptible to this disease, dogs of all breeds can develop hypothyroidism. In the past, it was believed that mostly older dogs were susceptible to hypothyroidism. However, it has been found that actually even younger dogs are at risk. 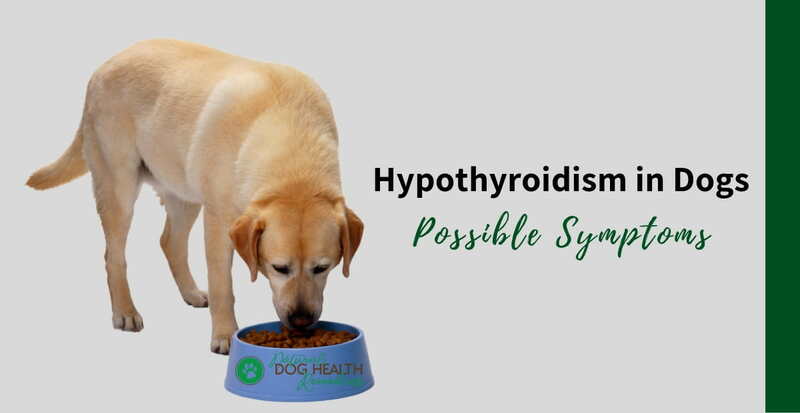 Due to the prevalence of hypothyroidism in dogs, it is important for dog parents to be able to recognize the warning signs and symptoms of this disease so that a timely and proper diagnosis can be made. Unfortunately, since hypothyroidism affects a dog's metabolism and as such, different parts of the dog's body, symptoms of canine hypothyroidism are varied and often indistinct. Because of this, many cases of hypothyroidism in dogs are misdiagnosed as something else. As a result, the hypothyroid dog remains untreated for a long time until the problem gets worse. In reading up on hypothyroidism in dogs, and in reflecting on my own dog's case, I found that there are some telltale signs that may indicate a dog is suffering from hypothyroidism. Subtle Weight Gain: One common early sign of canine hypothyroidism is weight gain even food and caloric intakes are restricted. In my dog's case, she put on 5 kilograms in the course of one year or so. We gave her less food and virtually no treat, but could not reduce her weight. (Our vet dismissed the weight problem as "old age" although she was "just" 8 years old). Behavioral Changes: A dog in his early stage of hypothyroidism may show subtle changes in his behavior. In particular, he may show signs of aggression, a lack of focus, inattentiveness, and passivity. Sometimes a hypothyroid dog may develop phobias. Food Intolerance: This is another early sign of canine hypothyroidism. 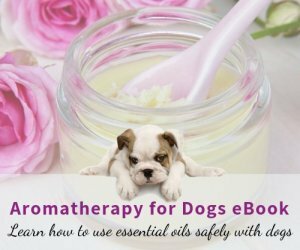 The dog may suddenly develop hypersensitivity or intolerance towards some food ingredients. If an early diagnosis of canine hypothyroidism is not made, and as a result, no treatment is received, a hypothyroid dog will develop further signs and symptoms. Below are some symptoms that can be regarded as "red flags". If your dog is showing several of these signs, suspect hypothyroidism and insist on a thyroid test even if your vet does not suggest doing so. Unfortunately, though, if your dog is showing these "red flag" signs, it means that about 70% or more of the thyroid tissue has already been destroyed or damaged. Lethargy: A common sign of hypothyroidim in dogs is lethargy and fatigue. Since thyroid hormones affect the body's metabolism, reduced thyroid function results in slower metabolism, causing the body to feel weak, lethargic, and fatigue. Cold Intolerance: Hypothyroid dogs have low metabolism, and may not be able to generate enough body heat to stay warm. Therefore, in winter time, they may be shaking and shivering even though they are indoor, and they may be reluctant to go outside to play in the cold weather. Hair and Skin Problems: Hypothyroid dogs often have hair and skin issues. For example, they may suffer from hair loss, usually symmetrically on both sides of the trunk, the tail, and the head. The remaining hair is dry, brittle, and dull. The skin on parts of the body may turn dark (hyperpigmentation). They may also have recurrent skin fungal and bacterial infections, causing the skin to be inflamed, itchy, and smelly. As hypothyroidism lowers the ability of the body's immune system to fight against infections, a dog with hypothyroidism is prone to skin problems. Depression: Many dogs with thyroid problems do not have that playful "spark" in their eyes. They no longer show interest in things they used to like (e.g. going out for walks, or playing fetch). Some dogs can also develop anxiety. 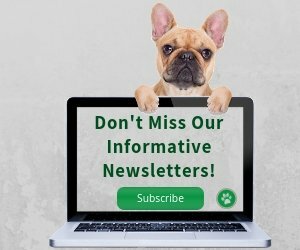 GI Problems: Another warning sign of hypothyroidism in dogs is gastrointestinal problems, usually in the form of chronic diarrhea, vomiting, and sometimes constipation. Skeletal Muscle Problems: Hypothyroid dogs can experience joint pain and problems, such as loose joints (which can lead to patellar sub-luxation - partial dislocation of the kneecaps), torn cruciate ligaments, and hip joint laxity. You may suddenly see your dog limping and dragging her legs while walking. Your dog may also show stiffness especially when getting up. Cardiac Abnormalities: Reduced thyroid function can affect a dog's heart, causing the dog to suffer from heart diseases such as cardiomyopathy (enlarged heart), arrhythmia (irregular heart beat), and bradycardia (slow heart rate). Eye Conditions: Eye diseases such as dry eye, corneal ulceration, and uveitis are common in hypothyroid dogs. High Cholesterol Level: High cholesterol level usually does not occur in dogs with early stages of hypothyroidism and is therefore not a classic symptom. However, dogs at the end stages of this disease (when the thyroid is mostly destroyed) may have high cholesterol level. Accompanied with other warning signs above, you should suspect hypothyroidism even if your vet doesn't. In addition, intact (not spayed or neutered) dogs suffering from hypothyroidism also show some telltale warning signs that are related to reproduction. For example, female hypothyroid dogs may have erratically spaced heats, infertility, and false pregnancy. Male hypothyroid dogs may have low sperm levels and decreased libido. Besides having difficulty reducing her weight, my dog Hana did not show any early signs such as food intolerance or behavioral changes. As a result, we did not suspect hypothyroidism at the beginning. At the early stage of her thyroid problem, Hana started showing signs of stiffness, especially when getting up from bed. She was also reluctant to go up the stairs and at times she was lethargic. X-rays showed no signs of joint degeneration. Our vet suggested massage and supplements such as glucosamine, essential fatty acids, and MSM. Then a little while later, more telltale signs started to show. Hana had recurrent skin infections that did not seem to heal (at first the vet thought it was "just" a yeast infection with secondary bacterial infection), hair loss, and darkened skin. She also looked depressed - probably because she could not play and run due to her joint pain. These signs all crept up at around the same time and it was pretty obvious to me that Hana was suffering from hypothyroidism. I asked the vet to give Hana a thyroid test which she finally did. She is now on thyroxine hormone replacement therapy and the herbal remedy Thyroid Support Silver for Dog Hypothyroidism. She started showing more energy a couple of days after the therapy began. The stiffness has gone and she is back to her old playful self, running and chasing after tennis balls in the park. Her skin infections have all gone and her hair has grown back nice and soft. Her weight has gone down from 28 kg to 20 kg. On hindsight, I should have asked the vet for the thyroid hormone test much earlier. The weight gain and stiffness (with no signs of joint degeneration on x-rays) should have raised red flags that she might have thyroid issues. 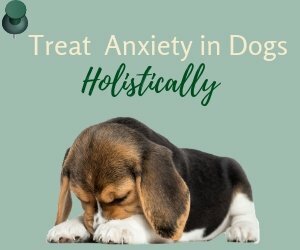 Please learn from my experience and take action (rather, ask your vet to take action) the moment you suspect something is wrong with your dog. Be proactive! J. Dodds, The Canine Thyroid Epidemic (2011). Dr. Jean Dodds Pet Health Resource. Learn more about the causes and treatment of hypothyroidism in dogs.